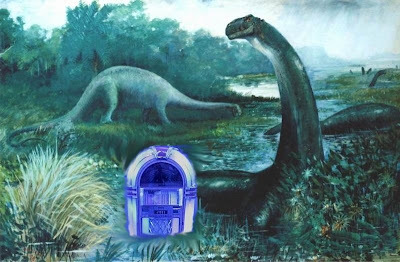 For the price of the Iraq War, we could have run a jukebox from the time of the dinosaurs to the present. The last dinosaurs existed 65 million years ago. There are 365 x 24 x 60 minutes=525,600 minutes in a year, which means it's been 34 trillion minutes since they existed. If the jukebox charges a dollar for three songs (as seems to be the average in Chicago), and our songs average four minutes in length, we get twelve minutes of music per dollar. At that rate, playing music from the time of the dinosaurs until the present costs $2.83 trillion, which is less than Joseph Stiglitz and Linda Bilmes' estimate of over $3 trillion for the cost of the Iraq War.